In a new professional conduct survey jointly commissioned by The Optical Society (OSA) and SPIE, the international society for optics and photonics, over 9% of respondents say they experienced harassment at meetings or events hosted by the scientific societies. Of those who experienced harassment, 63% were women. Harassment, for the purposes of the survey, was defined as being bullied, harassed, or made to feel uncomfortable. Those who reported being harassed say it most frequently was in the form of verbal and visual harassment, including having someone make a biased comment about them (61%), someone called you by an endearment (54%), or being asked inappropriate personal questions (48%). Respondents also reported being touched or grabbed (28%) and followed or stalked (24%). "For those in our community who are not convinced that this is a real issue, the survey is essential in creating a baseline to help guide us on policies needed to address incidents of harassment," said 2019 OSA President Ursula Gibson. "We must continue every effort to eliminate harassment in all of its forms." "Our members and constituents deserve a professional, creative, inclusive, and diverse environment in which to engage with their peers, and we are committed to providing that for them," said 2019 SPIE President Jim Oschmann. "We very much appreciate the hard work behind the survey report, a critical first step in re-asserting and implementing a robust anti-harassment policy across the SPIE and OSA communities." 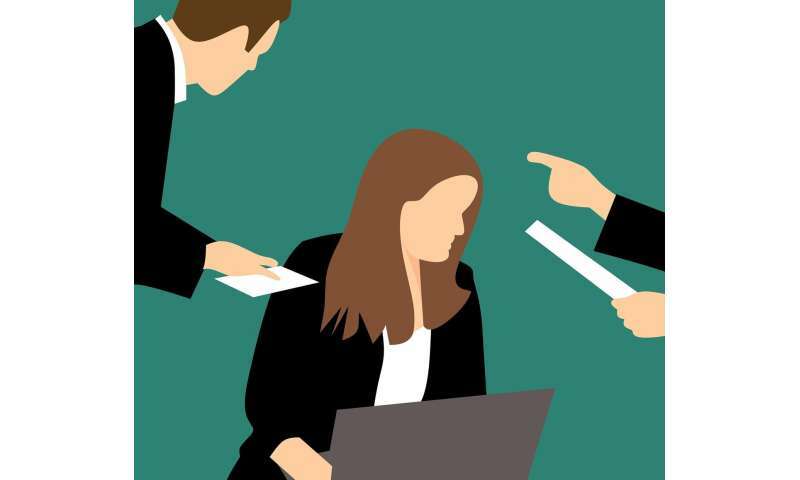 A recent study from the U.S. National Academies of Sciences, Engineering, and Medicine demonstrates how incidents of gender harassment have consequences for the careers and physical and mental health of those targeted. Other studies show that being a target of harassment is linked to decreases in job satisfaction and performance, and to people who have been harassed leaving their field or profession entirely. The joint report helps OSA and SPIE measure the scale of harassment at meetings and understand the experiences of people who are discouraged or harmed when it occurs. SPIE and OSA are working together to ensure conference attendees know harassment is not tolerated and has negative consequences, while publicizing the confidential reporting process for people who experience or witness harassment. "We are keenly aware of the negative impact of harassment from a professional and personal standpoint, and recognize the urgency in addressing this issue head-on," said OSA Chief Executive Officer Elizabeth Rogan. "Our meetings, programs, and events—core SPIE activities—are in place to advance the research and careers of our constituents," said SPIE Chief Executive Officer Kent Rochford. "Harassment is the worst kind of obstacle to our mission, and, together with our OSA colleagues, we have a zero-tolerance, anti-harassment policy that we stand firmly behind." Only a small fraction, about 1%, of those who witnessed or experienced harassment say they had reported an incident. The most common reason given for not reporting incidents was that the targeted person or witness did not know how or to whom to report it (42%), the incident wasn't serious enough to report (36%), that they would not be listened to or taken seriously (25%), and fear of being labeled a complainer or trouble-maker (22%). When asked if they would report such incidents in the future, 69% of respondents said yes. As for reasons why, to ensure it doesn't happen again (66%); to protect the safety of meeting participants (55%); and to hold harassers accountable (53%). Many respondents (64%) say OSA and SPIE should have an anti-harassment policy to address this issue with a majority recommending that repeat offenders should be banned (59%). OSA and SPIE jointly distributed the professional conduct survey to their combined global membership in December 2018. More than 2,200 respondents completed the survey—74% men and 23% women. OSA and SPIE have policies and programs aimed at eliminating harassment at their respective events. Leaders of both organizations say providing a professional and safe conference environment, as well as raising awareness of harassing behaviors, are among their priorities. OSA's anti-harassment policy and code of conduct applies to all of its meetings and events and anyone can report bullying, discrimination or harassment may do so by visiting osa.org/codeofconduct. The SPIE anti-harassment policy applies to all its events and workspaces, with a confidential telephone or web-based reporting process described at spie.org/conduct.